Yes, I own multiple devices that have to be charged. Sometimes I want them all charged at the same time but it's seriously a pain to have them plugged into several wall outlets at once. 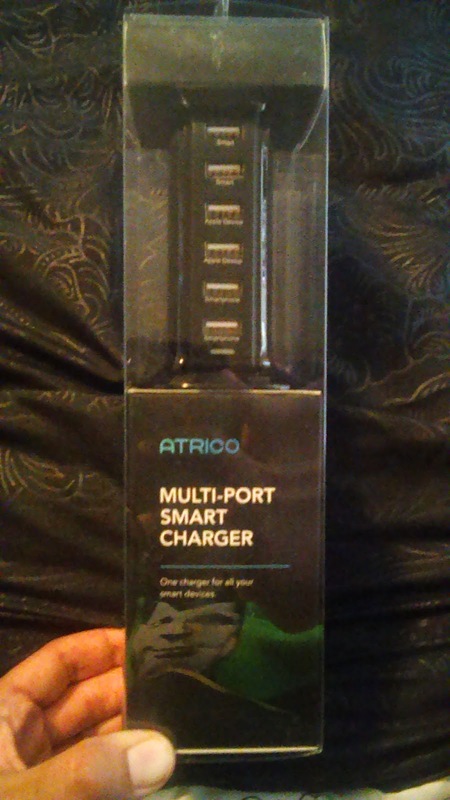 With the Atrico Rapid Charging USB Charger Tower, I can finally have them all plugged in one place. Let me show you what I'm talking about. This cool little tower can is small and slim. It's not difficult to use at all. You can use the top two USB ports to charge practically any smart device via USB, the middle two are specifically for Apple iOS devices but I've charged other smart devices without any issues, and the bottom two are for charging two smart phones. I've plugged in my tablet, my son's tablet, my husband's phone, my phone, and my headphones, and my sister's iPhone all at once. Every device charged just fine and in a reasonable amount of time. There is a little blue light that comes on when you have your devices plugged in to let you know that it is actually charging them. This really is a neat product to have in your office or at home. It just makes your life a little less complicated and eliminates some of the messiness in your work space. I find it extremely convenient. I love the size and shape of it because it's also easy to stick in your bag and take with you when you travel. It's totally something that I would take with me on vacation since I take several of my electronics with me. This product is also great because it doesn't tend to get really hot even though it is charging multiple things at one time. There is a vent on the top, which I'm guessing is what helps keep it from getting too hot. 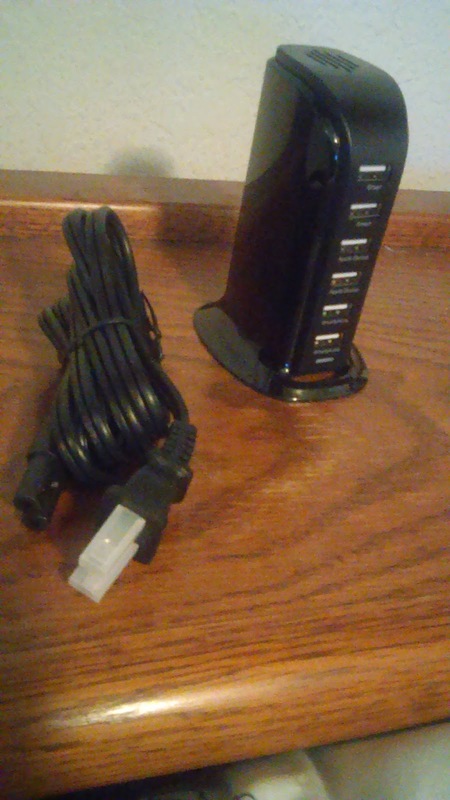 It's also very stable and stands just fine without tipping over even when there are several cords attached.